We are Innovative: We are proud to say that YPRL is one of Australia’s largest and most progressive library systems, with our innovative and forward-thinking library technologies such as: BiblioCommons, Drupal, and social media including Facebook and Twitter. We are family-friendly: YPRL offers family-friendly HR policies which support a work and family balance through flexible working and part time hours, as well as family-friendly leave policies. We value our employees: We have created a fun and friendly organisational culture, which is also focused on providing a comfortable learning environment for our staff as well as for all members of the community. 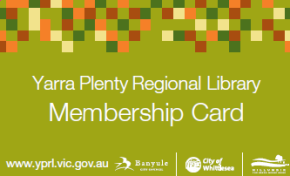 We value our community: We have created a warm and welcoming environment for our communities by providing our staff with the opportunity to work very closely with community members of all ages and ethnic backgrounds through our mobile library and outreach services. We offer educational and engaging programs, groups, forums, blogs, training and learning opportunities for babies, children, teenagers, adults and senior citizens in various languages and for those with disabilities. We value community history and genealogy.